Ten-Percent Legal Recruitment donates over £13,000 to the Ten-Percent Foundation. Ouch! We have just gone through the very painful process of transferring money from our company current account through to the Ten-Percent Foundation. Every year since 2000 we have committed as a company to donate a percentage of our annual profits to charity. This includes any subsidiary companies and operations. So far, for 14 years, our board of directors has agreed to setting this at 10% (after all, how on earth could we carry on with our name which is Ten-Percent?). We have donated over £66,000 to the Ten-Percent Foundation, a small sum in the general scheme of things, but a lot of money for a company the size of Ten-Percent Legal Recruitment. This last year we have just transferred just over £13,000 from our current account into the Ten-Percent Foundation charity bank accounts, and I have to say that it really, really hurt. I know it shouldn’t cause pain, and as a company and a group of people together we ought to be delighted to see our money going towards worthy causes, but I am afraid it does. I get extremely depressed for at least a few days, thinking about all the money and what it could have been spent on if I had taken it as a dividend (I am a shareholder in the business as well), but no, it is going to charitable causes. From now on we have decided to use our charitable donating to maximum effect. After all it is our number one USP (unique selling point). How many other recruitment agencies donate to charity? A better question would probably be how many are crazy enough to have contemplated giving their money to charity? Personally I wish we had not sat in a café in Leicester in 1999 and decided to set up a recruitment agency whereby we donated 10% to charity and charged 10% fees (this didn’t last – it was commercial suicide!). I wish I hadn’t got so annoyed by a recruitment consultant working for a national agency loftily informing me that as a newly qualified solicitor I was lucky to get the £20,000 just offered by one of his clients and that he would be taking £4,000 plus VAT in commission. I wish I had taken time to set up the company, researched the market, looked at profit margins, realised that giving away 10% of profits to charity was definitely not a good idea, and gone corporate with our approach. I am sure I could learn to speak business b*****ks and I do keep practising. Unfortunately we didn’t do any of this and set up overnight, spent 6 months getting our first candidate into a role (she managed 2 hours before walking out – it was the old Abbey National bank), and the following 14 years building Ten-Percent Legal Recruitment into what it is today. This year (2014) is the first year we have managed to catch up with our charitable donations since 2007. Between 2007 and 2014 our company has been postponing the donation from time to time because of the difficulties in balancing survival with the charity commitment, but now job markets appear to be slightly better it has been easier to get the money out. It feels good for us to be up to date with our 10% donation, and it also feels good to be one of only a tiny minority of companies who have such a commitment, but it still hurts. I am proud of our commitment to the donation and I think our name is probably the driving force behind this. It would have been too easy with another name simply to change the percentage amount or remove the charitable donation from our articles of association all together. Especially in the recession. Are we philanthropists? I am not sure the amounts of money the Ten-Percent Foundation ever has to donate to good causes will allow us to use this definition. I have read around the subject and discovered there is a college in the USA teaching philanthropy (to rich people perhaps?) and a fellowship of philanthropists exists in the UK. I wonder whether this is either astonishingly rich people getting together for a self-appreciating pat on the back from each other for giving away money they have made already, or a similar organisation to the Lions or the Rotary Club of time donation rather than financial support, or whether it is elderly folk easing their consciences or worrying about easy passage into heaven (if they have religious convictions and are concerned about admission from whichever angel is on duty) and hence coughing up shed loads of cash. So now we have a bulging charity bank account for the first time in years, and start the process of avoiding large national charities with CEOs on salaries and packages higher than those of a doctor or headteacher, and keep our eyes open for smaller charities with identifiable projects, particularly those with links to the legal profession. If you have any ideas, please feel free to email them across to cv@ten-percent.co.uk. We look for small charities preferably with interesting projects. Labels: Agency donates 10% profits to charity. We appreciate entirely the difficulties law firms have when trying to take on new staff. How do you know a candidate is going to stop with your firm and not turn out to scare all your clients away or worst still set up on their own across the road and poach all your existing clients? 1. When interviewing, try to make the candidate sweat. Not literally (you'll probably sweat as well if you turn up the heating!). Try to get them under pressure. Ask awkward questions and probe their answers. Someone who handles you politely and fairly comfortably is probably going to do the same in a work situation. A candidate who gets distressed or aggressive will almost certainly do the same with your clients when faced with confrontation. 2. Get the candidate to meet your staff on the day of interview day. You may think that you know everything about a person the moment you see them. As the boss it is your duty to make sure you employ staff who are going to either generate income for your firm or support those generating income. However you are not necessarily going to be spending much time with the new staff member and your colleagues may well work out in a few seconds that the new person is unpleasant or impossible to work with. Having a nightmare candidate in the office is not good generally for income generating or morale and you may well find yourself recruiting in a different role if you take on a bully or a headcase! 3. Put the candidate through some file tests. At interview produce a file or get a case up on your PC - anything you like. 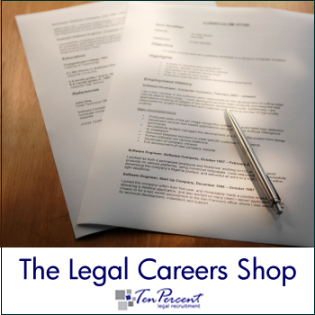 Ask the candidate how they would deal with it - give them a few moments to read it (make sure the file is not from a multi-million pound litigation case!) and then ask them to explain what they understand the case to be about and what needs doing or watching out for. This works at all levels - junior admin staff, paralegals and solicitors etc. Again this puts the candidate under pressure and gives you lots of chances to probe further - eg at junior level ask where an attendance note would be found and at senior level ask about a technical issue. Easier said than done, particularly because larger firms now produce references that quite frankly are completely useless. "I can confirm that Bob Carolgees worked with us for 2 years but our policy is not to give any personal information." Great. Really useful for any future employmers. (On an aside - some of these firms expect detailed references from previous posts but thats another issue!). Where a reference is not possible, use a 3 month probation period instead. Speak to us about using our 12 month rebate and payment plan if you have recruited via ourselves. Have a look online and see what their digital footprint is like. For example, if you search my name online (Jonathan Fagan) you get my youtube films, our websites, a link to my facebook account, linked in profile, twitter feed, a couple of press reports, blog entries and much more. A few clicks into our youtube account reveals what we post and some of this you may or may not appreciate. It gives you a good idea of what a candidate could be like. Not that long ago I clicked onto a candidate's profile to discover that there were lots of pictures of them enjoying a night out a little bit too heavily. Suspect a future employer may not have been too impressed by the pictures of the candidate staggering about a town centre with a bottle of beer!